What are they? Two sets of panels, one on top of the other, that operate independently of each other. Cons Not suitable for all windows. One of the most popular styles for marketing images, and most commonly used style five to eight years ago, Tier on Tier shutters are a perfect solution where privacy is a major concern and optimum lighting is a necessity. Still widely used in Victorian properties that look directly onto the street, this stable door effect means that the top and bottom panels of the shutters operate independently of each other. This gives the option for you to open the top tier whilst the bottom tier remains closed with the louvres tilted or shut for privacy. They are also used extensively where there is a desire to open and stack the shutters back like curtains - the independent operation of both the louvres and panels gives huge flexibility of use. 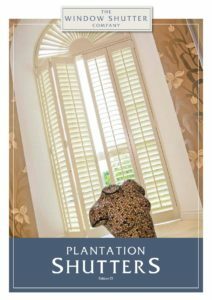 Typically, narrower panels, and in the past smaller louvres, have been used for Tier on Tier however in recent years this style has followed the overall trend of plantation shutters towards larger panels and bigger louvres. 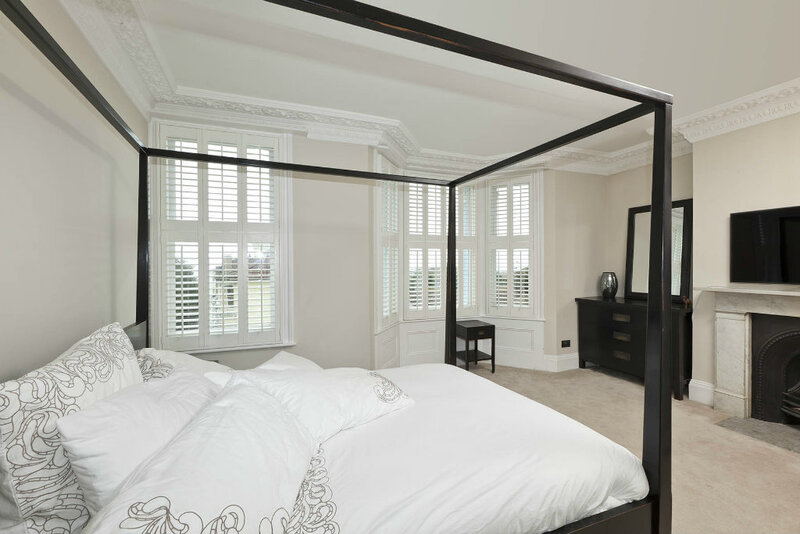 They commonly now only have single hung panels and a 63mm louver - the effect can be both flexible and stunning. We will advise you as to whether this option suits your windows but when choosing this style, the following points need to be carefully considered. 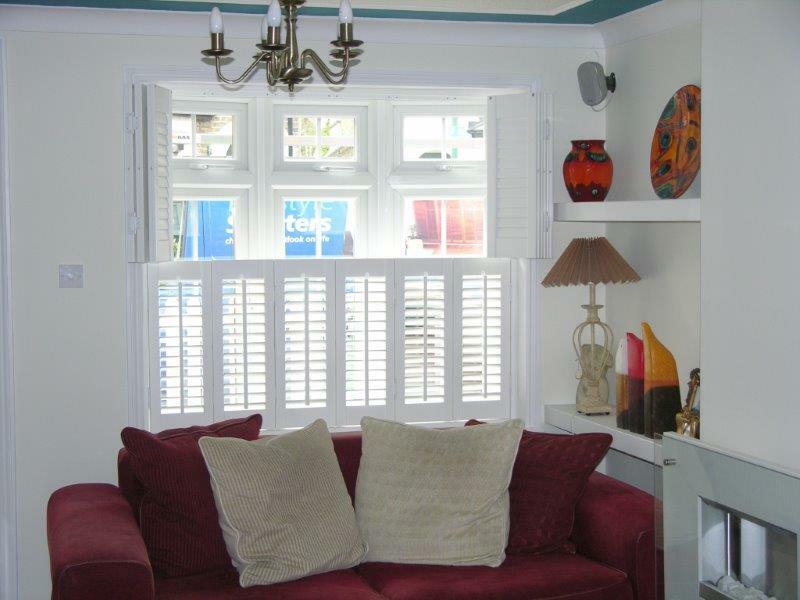 Firstly, the size and configuration of your shutters may prohibit the use of this option. It is only possible to hang a maximum of 2-3 panels from a hinge and the overall height of the section must be taller than it is wide. We would only really recommend a bi-fold pair when using this style and would carefully think about the stress that will be placed on the hinges which could cause a problem over time. The point where the top and bottom panels meet must also be considered as the panels are treated as separate in the manufacturing process. This means that the bottom rail of the top tier and the top rail of the bottom tier can vary in size to each other and will result in a thick section of fixed rail when closed. The window itself may also contribute as the less square reveals make it exceptionally difficult to get the sections to meet properly. 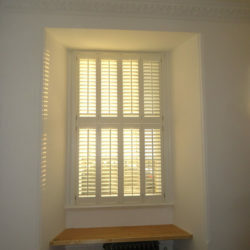 A perfect alternative where Tier on Tier is not possible would be Full height shutters with a Mid Rail or Louver split. 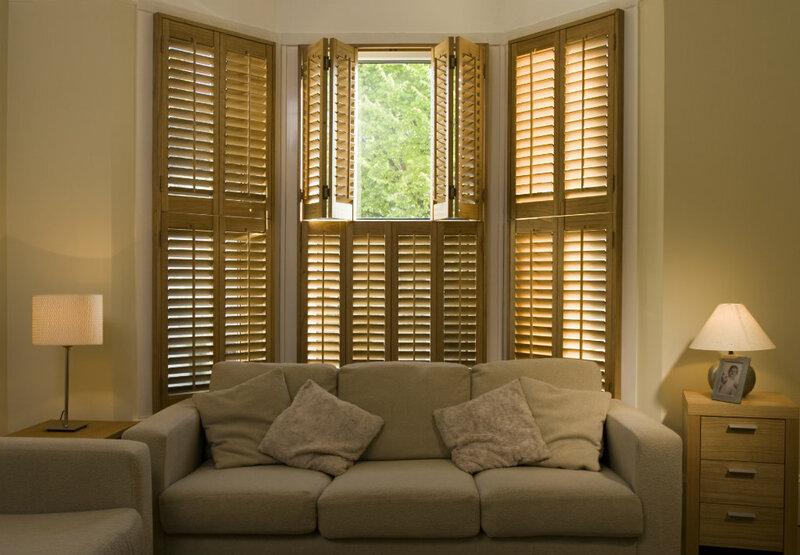 These shutters still give the option to operate the louvres independently top and bottom but as a single panel are a little more stable and can still be folded back if desired. We will be happy to guide you through the decision process at our design visit and show you all the alternatives available. In the meantime, if you're looking for more ideas then have a look at Our Portfolio. Have a look at these pages to see our full range of styles and shapes. See our Checkatrade reviews for your peace of mind.